Outers® is known for providing hunters and shooters with consistent and reliable gun care products for over 75 years. 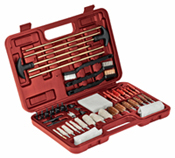 New 32 and 62-piece Universal Gun Cleaning Kits include all of the necessary components to service shotguns, semi-auto and bolt-action rifles, pistols, revolvers and other handguns quickly and effectively. Foaming Bore Cleaner is easy-to-use and produces superior results without brushing. ONALASKA, Wis. - June 23, 2011—Outers® Gun Care introduces new 32 and 62-piece Universal Gun Cleaning Kits and a new size of Foaming Bore Cleaner. Kits contain high-quality accessories to quickly clean several different firearms and are available on store shelves now. 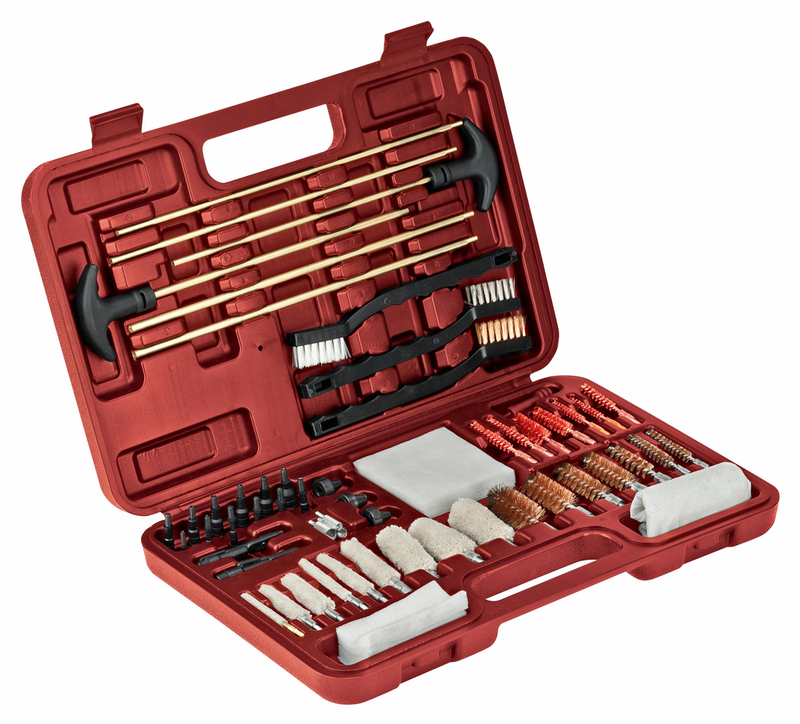 New Universal Gun Cleaning Kits (MSRP: $27.95 - $63.49) feature a specialized 32 or 62-piece assortment of gun care products to clean most firearms. Kits come in either soft-sided or blow-molded cases. Strong, solid brass rods with high-quality tips, mops, brushes and patches help service a large variety of firearms. Learn more about the new kits online, at www.Outers-Guncare.com/WhatsNew/NewProducts.aspx. Blow-molded kits have specific compartments for most parts within the kit. Different sized compartments provide convenient and organized access. Plus, additional compartments hold extra gun care accessories. Hard-plastic, durable maroon cases securely store these accessories for quick use at the range or in the field. Soft-sided kits feature a rugged, slim and lightweight design for easy storage and transport. Carrying cases include compartment pockets for easy-access. Wrap-around dual zippers provide secure storage. New Foaming Bore Cleaner is easy-to-use and produces excellent results, all without brushing. All shooters need to do is spray, wait and wipe away. A flexible dispenser tube allows for easy application directly into the bore of a firearm. Foaming Bore Cleaner dissolves copper, lead and powder residue quickly and effectively. Learn more about this powerful solution online, at www.Outers-Guncare.com/Products/Chemicals/Cleaners-Degreasers.aspx. To learn more about the new Universal Gun Cleaning Kits, Foaming Bore Cleaner and all the other great gun care products from Outers, visit www.Outers-Guncare.com. Outers is a leading manufacturer of gun-care chemicals and solvents. Vern Dale founded the Onalaska, Wisconsin-based company in 1934 with his innovative Gunslick lubricant, which has grown into its own, high-technology cleaning brand today. Outers remains a gun cleaning mainstay and is part of ATK Security and Sporting. For more information on Outers, visit www.Outers-Guncare.com.